50 years of Disneyland--what a wonderful milestone! I first visited the park in 1956 or 1957, so it's been a part of my life (intermittently) for a long time. I wasn't about to miss the big celebration. 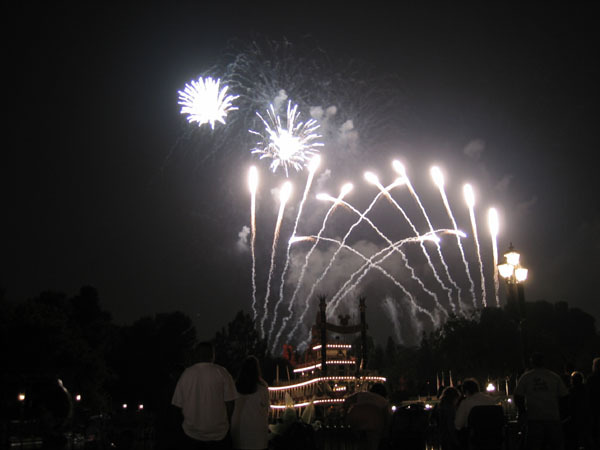 In May, 2004, Disney began offering 50th anniversary "Happiest Homecoming on Earth" packages. The first one I heard about included three nights at the Grand Californian hotel (pricey, but I wanted this to be a vacation to remember), two 4-Day Park Hopper passes, two tickets for the "A Walk in Walt's Footsteps" tour (Disneyland is, after all, the only park personally created by Walt Disney), and a commemorative clock. 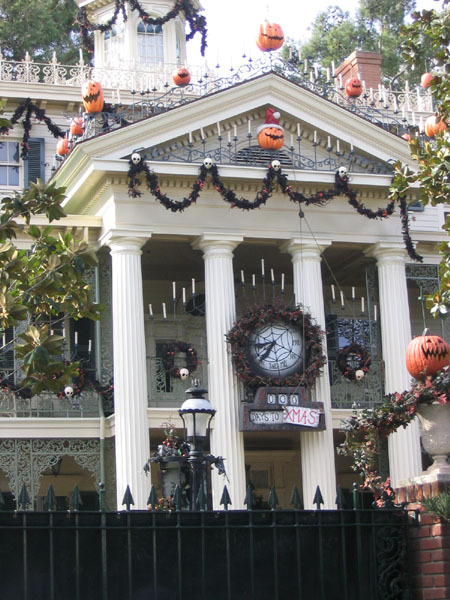 I made a reservation for just after Thanksgiving, 2005, when all the holiday decorations would be up, but the crowds would be low. Then I started counting down the days! I arranged my flight schedule to take maximum advantage of my 4-Day Park Hopper pass, leaving on Sunday morning and returning Wednesday evening. However, not being an early bird by nature, I didn't schedule my outgoing flight too early. It was leaving San Jose at 9:45 a.m. and arriving in Orange County at 11:00 a.m., which I figured would put me at Disneyland around noon. When I made my original 50th Anniversary package reservation, I hadn't really thought through the consequences of flying on the Sunday after Thanksgiving. My family all lives within driving distance, so I never have to think about that being the busiest airline travel day of the year. As the day approached, I realized that I might have made a tactical error. However, "Fantasmic!" doesn't play on weekdays at this time of the year, so I had to go on Sunday if I was going to see it. My check-in at the Southwest Airlines counter was quick and uneventful, but as I walked farther away from the ticket counters to find the end of the security line, I realized that I had never seen SJC so busy. I ended up in the garage with a few hundred other people, slowly snaking our way back over the bridge to the terminal. Actually, it wasn't that bad; I passed through the security checkpoint only half an hour after getting in line. We were wheels up a few minutes after 10:00 a.m., and landed at John Wayne Airport just before 11:00. By the time my shuttle bus filled and left the airport, it was 11:35. With some other folks to drop off first, I knew I wouldn't be at Disneyland by noon, so I called the friends who were going to meet me at Disney's California Adventure (DCA) and alerted them that I'd be a bit late. On the way, we drove through the old downtown area of the City of Orange, a lovely area with trees, shops, and patio restaurants. We left Orange at noon, and when the driver turned onto Katella Avenue, I started getting excited, even though I knew we were still a ways away from Disneyland. Finally, I spotted the Twilight Zone Tower of Terror, the Maliboomer, and the Sun Wheel. We were almost there! My shuttle arrived at the Grand Californian about 12:20 p.m. In case you haven't seen photos of the place, it's an absolutely beautiful hotel designed in the Arts and Crafts style of the early 1900s. The architect was Denver-based Peter Dominick, the same person who designed Animal Kingdom Lodge and Wilderness Lodge at Walt Disney World. I've stayed at AKL twice and visited WL, and I think his work is amazing. I'll have more to say about the Grand Californian in my Wednesday report. I finished checking in about 12:45, left my luggage at Bell Services (because my room wasn't ready yet), and headed to DCA. Although it wasn't activated yet, I had been given a hotel key card, so I was able to use the private DCA entrance just for hotel guests. 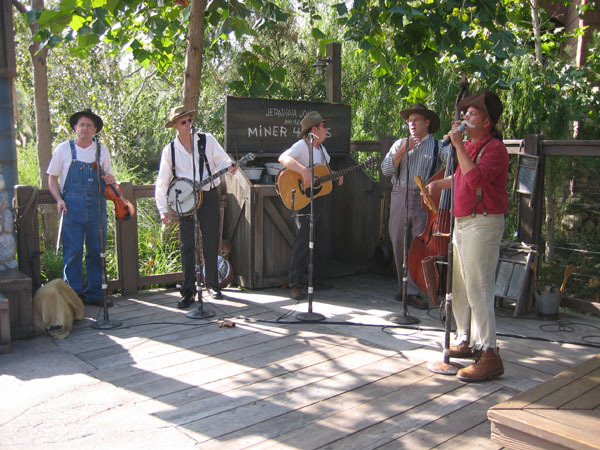 I called my friend Larry on my cell phone, and he directed me to the Taste Pilot Grill near Soarin', where he and his wife Julie were seated outside waiting for me. I know them from geocaching and benchmark hunting , but had never met them in person before. So we spent a few minutes saying hello and mapping out a plan of action for the rest of the afternoon. 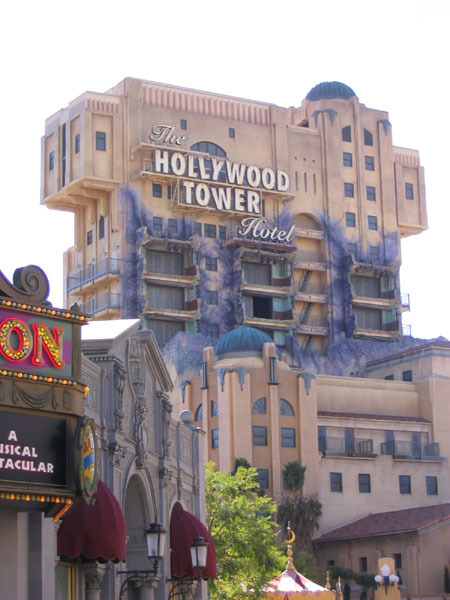 I had mentioned to Larry in email a couple of weeks previously that I had been avoiding the Tower of Terror on two coasts for the past few years (Disneyland in January, 2004; Walt Disney World in January and December, 2004). I admitted that I should probably bite the bullet and try it this time. So when I met up with him and Julie, I asked whether they would be willing to postpone lunch for a little bit and go over to ToT first. 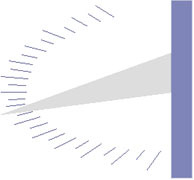 (I figured it was better to do it before lunch!) They agreed that was a good plan, so off we went to the Hollywood Pictures Backlot section of DCA. Suffice it to say that I survived the experience, although it took a good half hour for the adrenaline to work itself out of my system. A couple of days later, Larry and I had an interesting discussion with a Disneyland cast member (CM; Disney lingo for its employees) who said she got over her fear of ToT when she stopped holding on to the handlebars and just let herself go with the ride. That's an intriguing idea, but I don't know whether I'll ever have the courage to try it. After lunch, I checked with the hotel to find out whether my room was ready yet. It wasn't, so we headed to Downtown Disney to take care of a little business. 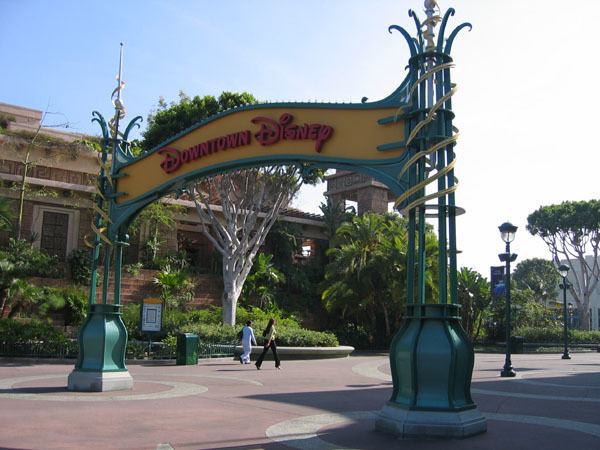 My 50th Anniversary package was for two people, but I wasn't able to find any friends who could travel midweek right after Thanksgiving, so I had an extra Park Hopper and an extra ticket for the Disneyland walking tour. I had invited Larry to use the latter (Julie had gone on a similar tour with some friends just a week or two earlier), but that still left me with an extra theme parks admission ticket that would expire in early January. So we went to the Disney Travel Company office and I exchanged it for some Disneyland meal vouchers. That worked out very well for me over the next few days. When we passed by the Hyperion Theater on our way to ToT, I mentioned to Julie and Larry that I had never seen the stage production of "Aladdin," but had heard good things about it. They said I absolutely had to see it, so after re-entering DCA (through the esplanade entrance--a 10-minute line; we should have gone back through the hotel! ), we again headed for the Backlot area and got in line for the 4:15 p.m. show. On Julie's advice, we sat in the lefthand part of the theater, just in back of the aisle that's parallel with the stage. That gave us a great view not only of the stage, but also of the flying carpet overhead and the various people and creatures that go across the middle of the theater. The show was as delightful as they had promised, with innovative sets and props, and of course, excellent music. One of the highlights is the genie. The actor who plays this role has a lot of leeway to ad lib, so he gets off a lot of funny lines about contemporary culture. For example, he said something like, "I've been trapped in that lamp for 10,000 years, 14 days, and 12 hours. I've missed every episode of 'Desperate Housewives'!" Some of his ad libs were about events that had just occurred in the past week or so. Julie and Larry verified that the actors playing the genie change their spiels frequently. Well, here I had been at DCA for more than four hours, and I hadn't gone on Soarin' yet. I was starting to feel withdrawal symptoms! So off we went to the Golden State area of the park. After about a 15-minute wait in line, we entered the loading area. Larry asked the CM at the center section if we could wait and go in the front row of that section on the next flight, instead of proceeding down to the not-yet-full righthand section of the current flight. He said sure, and directed us to stand against the wall so that other people could get by to make it onto this flight. A few minutes later, we were strapped into our seats in Row 1 of the center section. Best seats in the house! I absolutely love this ride. It's a wonderful example of Disney imagination at its best, making you feel as though you really are flying over the Golden State. Remember those flying dreams you had when you were a kid? This ride makes them come true. A couple of things to look for: the climber traversing rock to the left of Yosemite Falls, and the Mickey Mouse logo on the golf ball that comes toward you. After Soarin', we made the short walk back to the Grand Californian, where I checked into my room. It was a standard view, which is the least expensive option, but I was on the top (6th floor) and had a nice view of the Disneyland Hotel. Julie and Larry said their goodbyes for the evening, and I unpacked. 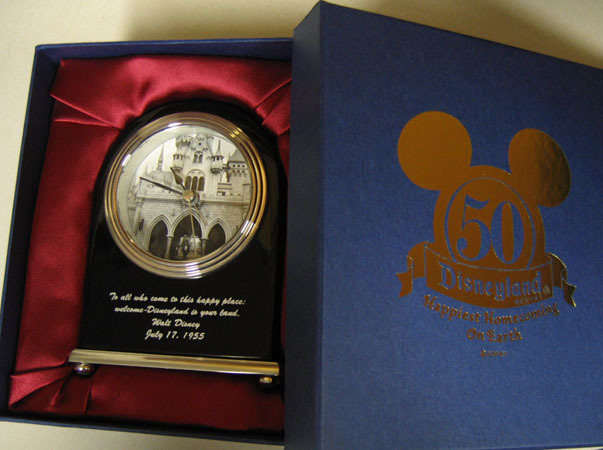 I opened the package I had received at check-in to see my 50th Anniversary souvenir clock. It has that classic black-and-white photo of Walt Disney walking through the castle, plus the first few words of his opening day speech. Then it was off to the place of the hour itself: Disneyland! As I entered the park, the Christmas Fantasy parade was just leaving Town Square. Rather than fight the crowds on the ground, I hopped on a steam train that had conveniently just pulled up at the Main Street station, and took it to New Orleans Square, which is probably my favorite area of Disneyland. By now it was time for dinner, so I got some creamed chicken in a sourdough bread bowl at the French Market, along with a small scoop of chocolate mousse. I sat outside and watched people walking along Rivers of America and entering the Haunted Mansion. The music on the restaurant's sound system was appropriate for the location and the season. It included a spooky organ version of "Carol of the Bells," the main theme from "Edward Scissorhands," and a slow-tempo, minor-key cello version of "We Wish You a Merry Christmas." When I got out of the HM, Fantasmic was about 10 minutes along, so I watched the rest of it. At this time of the year, it was easy to find a good viewing spot close to the river even after the show had started. I love this show! And it is so much better at Disneyland. Yeah, there isn't the tiered seating you get in Orlando, but the show itself is much better. Especially the two very big props that simply do not exist in the Florida version, and which are part of two wonderful scenes. You really need to see the show at Disneyland sometime. As the closing scene was playing, I started walking away towards Adventureland. By 9:30, I was in a jeep and ready to stare down Mara in the Temple of the Forbidden Eye. Then it was off to the Jungle Cruise, followed by a short walk over to Frontierland for Big Thunder Mountain. From there, I took one of my favorite walks in Disneyland: along the lightly traveled Big Thunder Trail to Fantasyland. 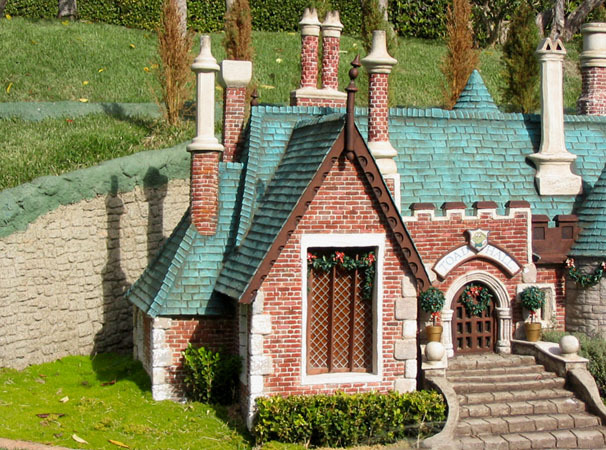 I wanted to see the delightful miniature Storybook Land Christmas decorations at night, so I got on the Canal Boats ride. All of these rides were walk-ons at this time of the night, so by 10:30, I was back in Frontierland for Fantasmic. Well, wouldn't you know, something went wrong with the show about halfway through, and just after the Columbia disappeared around the bend, the house lights (that is, the street lights in Frontierland and New Orleans Square) came up, and an announcement was made about the rest of the show being cancelled. Whew, glad I had seen the rest of it earlier in the evening! As soon as I realized what was happening, I walked briskly to the entrance of Pirates (only a couple of hundred feet from where I'd been watching the show) to beat the crowds leaving Fantasmic. I got right onto a boat and was out by 11:00. The park was now officially closing, so I meandered down Main Street, ducking into a few stores to start getting some ideas for souvenirs to buy during my trip. (Especially with Christmas coming up!) I left the park just before midnight. 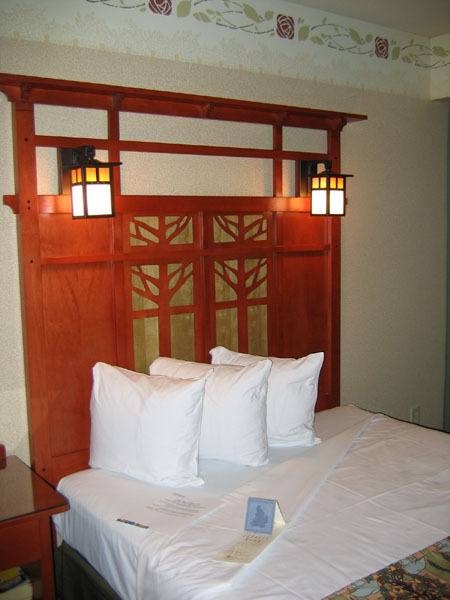 On my return to my room at the Grand Californian, I discovered that the maid had turned down my bed. She had left a room service breakfast menu, a schedule of the next day's activities at the hotel, chocolates in Bambi and Thumper wrappings (on the nightstand), and a card wishing me a peaceful sleep. 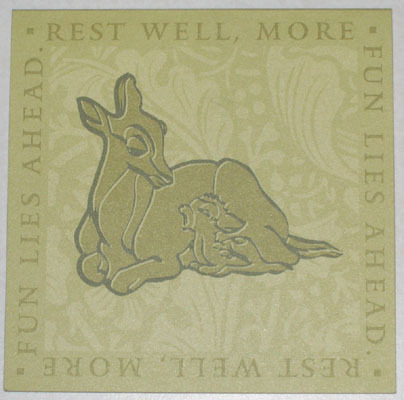 The card was interesting, because a lot of things at the Grand Californian have pleasant sayings on them. They strike me as the sort of sayings one would have heard around the turn of the century (19th to 20th), which would be in tune with the style of the hotel. They may be actual sayings from that era, or more likely ones created by Disney to sound like them. Here are photos of three such cards I found in my room. 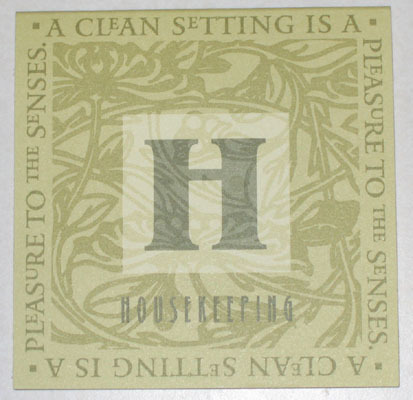 One is a different turndown note from another night ("Rest well, more fun lies ahead"), the second is a coaster ("Relax, reflect and drink in the moment"), and the third was on the shelf in the bathroom ("A clean setting is a pleasure to the senses"). 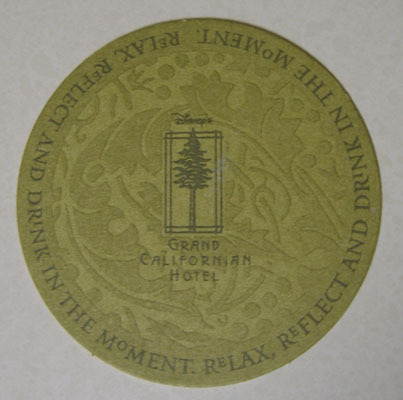 The hotel's "Grand News" stationery (used for basic information about the Grand Californian as well as operational updates) says, "Immerse yourself in knowledge & be filled with life." All very charming! Anyway, after admiring the notes from housekeeping, doing some more unpacking, and reading for a while, I went to bed about 1:00 a.m., very satisfied with the first day of my trip. Text and photos (c) 2004-2005 Patricia F. Winter, unless otherwise noted.